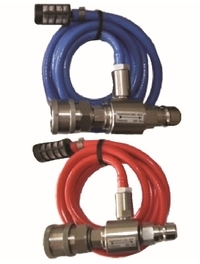 Ready made assemblies for High and Low Pressure use. 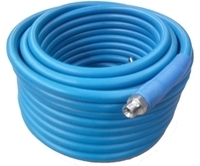 As well as pressure washer replacement hose for various models. 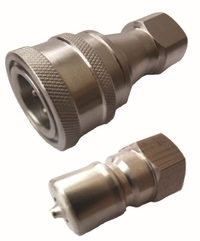 A range of quick connectors for high and low pressure applications, including a large selection of Nito couplers. A range of protective clothing that is a comfortable, efficient and intended for use in the food hygiene industry. The fabric offers enhanced resistance to oils, greases and animals fats and provides excellent protection from the range of cleaning chemicals used in washdown applications. 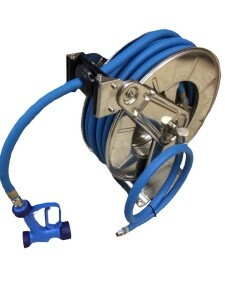 Self retracting and manually wound hose reels, mobile hose trolleys, wall mounted hose racks and spare parts for reels. A range of hot and cold pressure washers available as mobile units or as fixed stationary equipment. 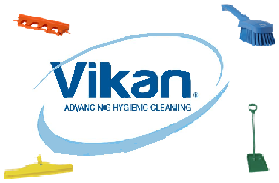 Also deep clean, super dry heated steam cleaners. Brushes, squeeges and poles aswell as shovels, scrapers and a range of other hygiene equipment. 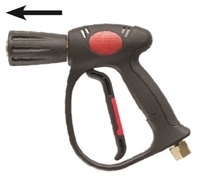 Turbo nozzles, standard nozzles, mini nozzles and plastic flat tip nozzles. 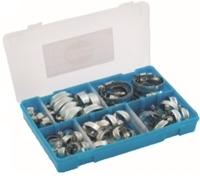 A Range of hose clamps, clips and kits in a variety of materials. Listed are a selection of unloader and relief valves. There are lots of other models available so if you have any other requirements please contact us. Replacement pumps, motors, gearboxes, unloader valves, heating coils, burner spares, repair kits and components for many brands of pump and pressure washer. 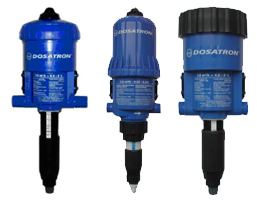 Water powered diluted chemical dispensers. The standard blue range is listed. 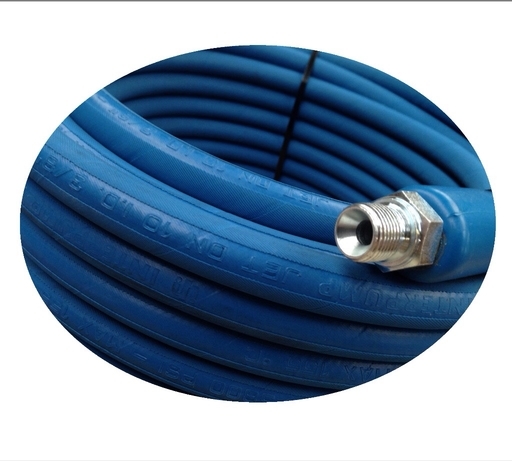 Should you require the more chemically resistant, white PVDF range or external injection, or any other model please enquire.